Last month, Ethics & Economics Challenge started again at The Founders Academy in Manchester, N.H. and Merrimack Valley H.S. in Penacook, N.H. We are trying out an entirely new format this year. Students will focus on reading three works of major historical or contemporary importance in the fields of economics and moral philosophy, and we discuss a chapter or two at a time at each weekly meeting. There will once again be a late spring speech competition at each school in which participating students can win cash prizes. 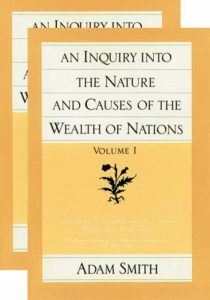 WN, published in 1776, is the book that essentially founded the modern discipline of economics. It is an immense work, consisting of six “books,” and we will be reading just Book I, but the students receive the whole thing. Our discussions of WN are organized into the following topics and questions. I. The Division of Labor. Read chapter 1 in Smith. Where does economic progress come from? Why does the division of labor help us all become more productive? Was Smith right about the huge benefits of division of labor in his famous pin factory example? II. The Invisible Hand. Read chapters 2 and 3 in Smith. Why do people trade with each other? Can self-interest alone lead to benefits for everybody? Would markets work even better if people are not just self-interested? 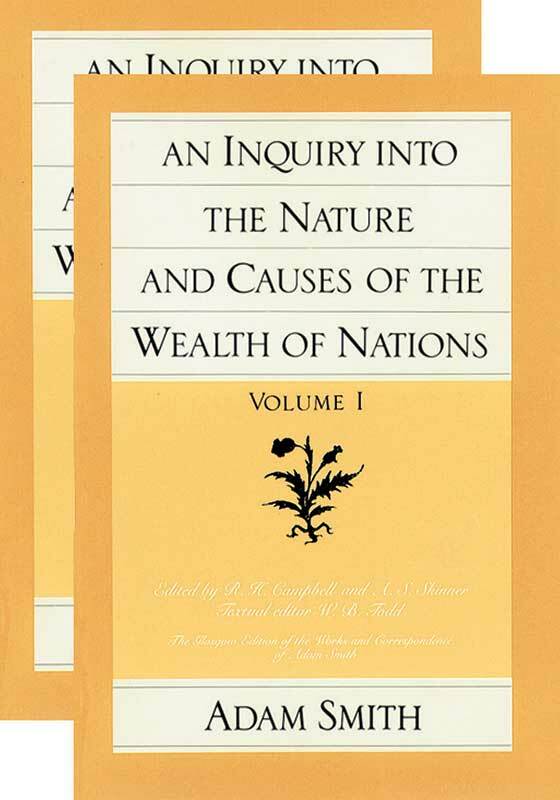 We consider the alleged “Adam Smith problem” arising from his qualified defense of self-interest in Wealth of Nations that may appear to contrast with his moral theory based on sympathy and impartiality in The Theory of Moral Sentiments, his earlier book. III. Money. Read chapters 4 and 5 in Smith. Where does money come from? What is money’s function? What qualities make for good money? Where does inflation come from? What have economists learned since Smith’s time about the role of monetary policy? IV. Supply, Demand, and Prices. Read chapters 6 and 7 in Smith. What affects the market prices of goods and services? How does the price system automatically coordinate the actions of billions of people around the globe? What about the general price level? How do limits on competition, like licensing regulations, affect prices and wages? V. Factors of Production. Read chapters 8 through 11 in Smith. How do economists define capital, labor, and land? What factors determine the level of wages and profits? If we think about wages and profits as prices, how do markets for labor and capital help to coordinate production? What would be the effects of regulating wages, profits, or rents? The Treatise was perhaps the single most influential book on the American founding, particularly the Declaration of Independence. 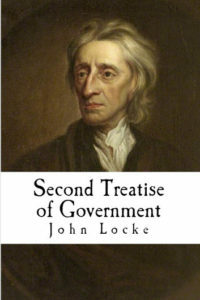 Locke believes that each person enjoys natural rights, and that no one may harm another in his life, health, liberty, or possessions. The purpose of government is to secure these rights. Here are the discussion topics we will take on. I. Natural Rights. Read chapters 1, 2, and 3 in Locke. What does it mean to say that you “have a right to” something? What is the difference between “positive” and “negative” rights? In the absence of a legitimate government, do you have a right to enforce justice on your own? II. Inalienable Rights and Property Rights. Read chapters 4, 5, and 6 in Locke. Why does Locke believe slavery is wrong? Are there inalienable rights, and if so, what are they? How do people come to acquire rights in external property? What do you think of Locke’s theory? Can property rights ever be limited? III. The Social Contract. Read chapters 7, 8, and 9 in Locke. 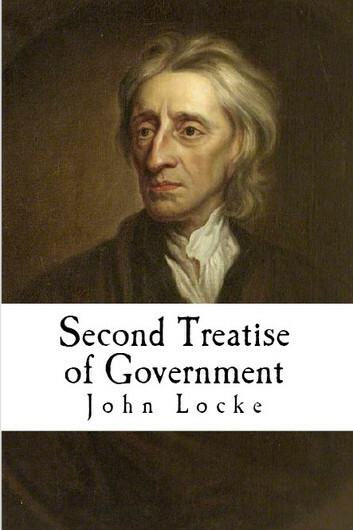 What does Locke believe is the purpose of government? How can a legitimate government be formed? How can it be perpetuated? What rights must any government respect? IV. Constitutional Limits on Government. Read chapters 10 through 13 in Locke. Why does Locke believe the legislative power must be supreme? How can a constitution be designed to protect the rights of the citizens? Is it ever justifiable to place limits on democracy? V. The Right of Revolution. Read chapters 16 through 19 in Locke. Is conquest ever justified, and if so, how? How can governments be justly dissolved? Is it ever permissible to disobey, resist, or overthrow the government? PPA is our contemporary work this year. Michael Huemer is a philosopher at the University of Colorado who has written on a wide variety of topics. In this book he takes up the question or “problem” of political authority. Most people believe that it’s permissible for government agents to do things that other people may not do, for instance, collect taxes, and that everyone else has a duty to obey them when they carry out these activities. What justifications have thinkers given for this difference in rights and duties, and are they reasonable? Huemer goes through a series of thought experiments designed to get the reader to think critically about the arguments. I. Political Legitimacy. Read chapters 1 and 2 in Huemer. 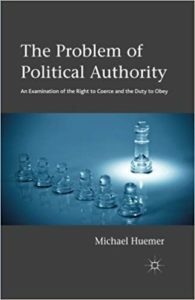 What is the “problem of political authority”? Why does Huemer say opposition to political authority bears a burden of proof? What are the conditions consent must satisfy to be valid? Why does Huemer think Locke’s social contract theory fails to legitimize existing states’ right to rule? II. Hypothetical Consent and Democracy. Read chapters 3 and 4 in Huemer. What is the hypothetical contract theory? Can merely hypothetical consent ever be valid? Can it legitimize existing states? Does democratic decision-making make states legitimate? III. Consequentialism. Read chapter 5 in Huemer. What is “consequentialism”? Can good consequences justify the use of coercion? Under what circumstances? What do you think of Huemer’s thought experiments here? IV. The Right to Disobedience. Read chapters 6 and 7 in Huemer. Has Huemer met his burden of proof? Are we psychologically biased in favor of authority? If there’s no political authority, what does that fact imply about the right to rule and the duty to obey? What does that imply for specific policies? V. Alternatives to the State. Read chapters 8 through 10 in Huemer. Can alternatives to the state solve the problem of predation? How would people try to protect their rights in the absence of a state? Is justice a natural monopoly? VI. Anarchism. Read chapters 11 through 13 in Huemer. What are some of the main arguments against anarchism? How does Huemer respond to them? What arguments does he not address? What about public goods and the free-rider problem? Does Huemer’s theory offer any practical guidance in the world today? We’re looking forward to a great year! Thanks to all our supporters for helping make this work possible!